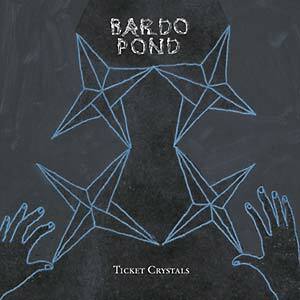 Philadelphia's Bardo Pond return in June 2006 with Ticket Crystals -- their sixth studio album and second for ATP Recordings. Completing a trilogy of work -- first embarked on with 2001's Dilate and centered with 2003's On the Ellipse -- Ticket Crystals resumes the quintet's signature doom tempo, multi-layered drones; while introducing a lighter pastoral, even Tudor-like feel, which rallies throughout against the band's youthful riff petulance. Recorded over two years at the band's home studio, a handful of the tracks first came to light on Bardo Pond's 2003 live UK dates alongside kindred spirits and former label mates, Mogwai. Tracking down the elusive balance between extensive improvisation and acutely structured arrangements, Ticket Crystals includes the spellbinding "Moonshine" (a ten-minute plus ethereal expedition that immediately recalls the acoustic intricacy of Led Zeppelin III coupled with the contemporary quirkiness of Cocorosie) and live favorite and album opener, "Destroying Angel," which only just manages to contain the sheer force of the brothers Gibbons' amplification and vocalist and flautist Isobel Sollenberger's haunting and occasionally terrifying tones. Also featured on the album is the band's unique reworking of The Beatles' White Album classic, "Cry Baby Cry," which was originally recorded for and broadcast by the BBC as part of their commemoration of the 25th anniversary of John Lennon's death.